Small updates and corrections to the Cockpit panels PDF´s. Sopwith Triplane added to the English set. 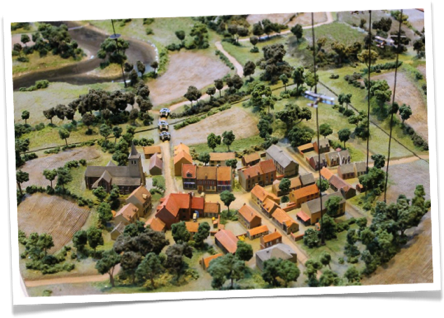 In Clouds of Glory is a miniature war game representing the air combats over Europe during the first world war. The game uses 1/350th scale 3D printed airplane models mounted on 80 centimeters high carbon-fibre rods for a true representation of the relative altitude differences between the aircraft. Alongside the high mounting rods the game makes use of a unique set of features working together: The 360 degree aircraft mounting system, the freely moveable altitude adjustment and the energy management system. The design of the game is an old con amore design project among friends and bringing the game to this level of finish and in English, has been a project over 15 years in the making. We are very happy to finally present the ”In Clouds of Glory” game system as a whole system, useable for others than us the designers. On this website you can find most of the resources needed to play the game including the rules, playable scenarios, game aids and templates. Currently you can find the core rules, game resolution tables, templates for making turns and range rulers, a scenario pack as well as Cockpit panel files for a number of the most iconic aircraft of the period can be found and downloaded here. Due to sofware problems, the whole ICOG site is moving to a new platform. ( The one you are looking at now ) This will happen in steps as real life permits. For now only the this page, Model link and the Download page is available.